Of the 6000 registrants for the 2011 Austin Marathon, it is estimated that a middle-of-the-pack finisher averaged about 885 training miles in the year leading up to the race. NOTE: This article is part of a 4-part series entitled "Measuring Fitness". If asked to give an example of someone you consider "fit", would the bulked-up body-builder at your gym come to mind? While this guy may receive high marks in terms of body composition and muscular strength, it's possible he might score poorly on other aspects of fitness. In this discussion, I will review body composition. With regular exercise, you will probably find that, as your cardiopulmonary fitness and muscular strength improve, your body composition will also change. It's likely you will have lost fat, and lost inches around your waist and hips, and gained muscle (more so in men than women). So, if body composition is simply a reflection of how much we exercise, maybe we should just focus on cardiopulmonary fitness and muscular strength, since they're more important, right? Not necessarily. While it's true that aerobic capacity and muscular strength and endurance are more direct measurements of "fitness", body composition is important because of its relationship to health and disease. And, research published in 2013 suggests that, not only is the degree of obesity important (ie., measured by BMI and waist circumference), but, also, how long a person is obese is also important (Reis JP, et al. 2013). Parameters such as body mass index (BMI), percent body fat, and waist-to-hip ratio are used to assess body composition. BMI is useful because it allows for a reliable comparison of body weights among persons of different heights. For adults of average height, one BMI unit equals approximately 3.1 kg (6.9 lbs) in men and 2.6 kg (5.8 lbs) in women (Williamson DF. 1993). Refer to our BMI Tables to determine your personal BMI value. As BMI values increase, so do healthcare expenses (Daviglus ML, et al. 2004). Studies have also shown that a high BMI value is predictive of a higher rate of mortality (Calle EE, et al. 1999) (Peeters A, et al. 2003), though some research suggests that elevated BMI values are less reliable for predicting mortality in women (Dorn JM, et al. 1997) and elderly men (Stevens J, et al. 1998). • Adolescents: Most of the research on BMI values has been conducted in adults. However, measuring body mass index during adolescence is also predictive of future health. A very large study from Norway (227,000 boys and girls ages 14-19 yrs were followed for over 30 years) shows that BMI values during adolescence were predictive of mortality in later life. Mortality was higher in the groups with the highest BMI values (Engeland A, et al. 2003). Researchers from The Netherlands evaluated over 78,000 18-year-olds and found that teenage boys with a BMI of 25 or greater had a higher rate of mortality in later life (Hoffmans MD, et al. 1988) (Hoffmans MD, et al. 1989). One obvious flaw in the BMI formula is that it makes no distinction between fat and muscle. So, a heavily-muscled body-builder might have a BMI as high as an obese person. That's why body fat percentage and waist-to-hip ratios should also be used. Because the BMI value does not differentiate between fat or muscle, the American Academy of Pediatrics recommends that BMI not be used in athletes (Washington RL, et al. 2005). • Asians: The World Health Organization (WHO) has adopted the BMI cutoff ranges listed above, but these values are based on Western populations. At a given BMI, it has been determined that Chinese subjects have a higher amount of body fat than other races. For this group, a BMI value of 24 has been proposed as the cutoff for overweight (Wildman RP, et al. 2004). • Children: The other limitation is that this formula should not be used in children. Although "body mass index" (BMI) and "body fat percentage" sound alike and, in some ways, are related, in fact, they are different. Lower limits for body fat percentage have also been established. In 1994, the average body fat percentage for sedentary college-age women was 23-27% (today, it is definitely higher!). The value for female athletes was in the range of 10-15%, and, for some athletes, such as gymnasts and distance runners, the average body fat value was as low as 8% (Agostini R, 1994). This is not to suggest that these values should be regarded as desirable. Certainly, 8% body fat is a very low value for a female and could even lead to chronic health problems. The American Academy of Pediatrics defines "low body fat" in adolescents as < 14% for boys and < 18% for girls (Washington RL, et al. 2005). To minimize health concerns, coaches and parents should reinforce the importance of not going below these limits during high school years, despite the fact that collegiate and professional athletes may do so. The November 2006 issue of Runner's World magazine contained a detailed comparison between cyclist Lance Armstrong and then-current marathon world-record holder Paul Tergat. Armstrong's body fat was 8% and Tergat's was 4%. The most precise way to determine body fat is by a method known as underwater weighing. But, this is inconvenient. Typically, body fat is determined by measuring skin thickness (aka: skin-fold thickness, SKF) at several different sites on the body with calipers, or, with a gizmo that is based on "bioelectrical impedance." You may be familiar with how these are done, as many health clubs have their personal trainers do this for their members. In adults, SKF measurements, if taken at multiple sites on the body and done well, are nearly as good as underwater weighing (McClean KP, et al. 1992). However, a recent study from Australia showed that skin-fold measurements are not very accurate in predicting abdominal fat or total fat in obese children and adolescents (Watts K, et al. 2006). But, that was 15 years ago. Today, some manufacturers claim that their body fat analyzers have an error rate of no more than +/- 1%. Assessing waist circumference and BMI together can provide even more predictive value than relying on BMI alone. For example, using waist circumference would help to differentiate an obese person with a high BMI from a heavily-muscled body-builder with a high BMI. In 2002, researchers from Queens University in Ontario, Canada found that subjects with a high waist circumference had a greater health risk than those who had a lower waist circumference, even though both groups had the same BMI value (Janssen I, et al. 2002). PREDICTING FUTURE HEALTH: IS BODY COMPOSITION OR AEROBIC FITNESS MORE IMPORTANT? Even though measurements of body composition are helpful, they are not universally predictive. For example, in one study of women, when measures of body composition were compared to measures of aerobic fitness, only the level of aerobic fitness was helpful to predict future cardiovascular events (Wessel TR, et al. 2004). Steven Blair, PED, at the University of South Carolina, has been a leading proponent for the concept "fat but fit." Blair claims his own BMI value is 32, but he runs every day. Nevertheless, a large study of Harvard alumni showed that BMI values remained predictive even after adjusting for age and amount of physical activity (Lee IM, et al. 1993). Despite some of the limitations discussed above, measurements of body composition are still helpful for predicting future health. • Set goals. Use our BMI Tables to determine a target BMI value for your height. Find a personal trainer to do body fat assessment for you. Reevaluate these measurements regularly to help you stay focused. • Maintain a BMI of 27 or less (24 or less for Asians). If you are overweight or obese, strive to lose weight until your BMI is 27 or less. 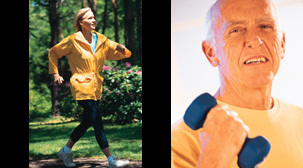 Health risks rise dramatically at BMI values above 26-27. • Avoid extremes of body fat. Don't go crazy when attempting to lose weight. Just as too much body fat is unhealthy, so is too little. Body builders often try to get their body fat as low as possible in order to increase their muscular definition, but, in doing so, they employ some dangerous tactics, such as going without any water or fluids for 24 hours. Reducing body fat to less than 7% should never be a goal in and of itself. DISCLAIMER: The information presented here should help you understand the clinical and scientific side of assessing fitness. You should be able to take this information and begin to map-out a fitness plan for yourself. 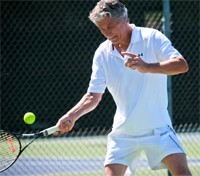 If, however, you have asthma, cardiac disease, high blood pressure, or other chronic medical conditions, please read some of the other articles listed at AthleteInMe.com®, and, if necessary, consult with your physician before beginning anything strenuous. 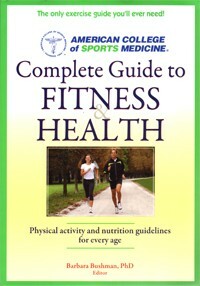 The American College of Sports Medicine's "Complete Guide to Fitness & Health" (editor Barbara Bushman, PhD) is a very thorough book from the leading exercise-is-good-for-your-health scientific organization in the country. See BOOK REVIEWS for detailed summaries on books like these. 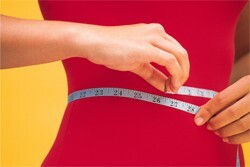 The formula for calculating BMI is explained in more detail at the Centers for Disease Control web site: www.CDC.gov. It takes about a minute to set-up so that it interfaces with your smart phone, and then, just stand on it. DISCLOSURE: Neither the author, nor AthleteInMe, LLC has any relationship with any of the manufacturers of products listed here that would be considered a conflict-of-interest.